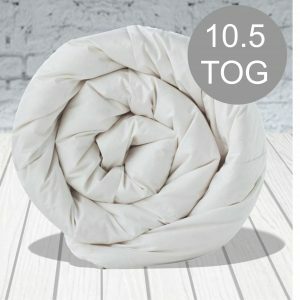 Luxury 13.5 tog soft feel hollowfibre duvet with a satin stripe cover. Filled with high grade non allergic hollowfibre. They are box stitched helping to keep a nice even balance of the filling and allowing your body heat to circulate naturally.